Each release from Images of Eden is a chapter in the tale of a life’s journey, dealing specifically with the trials and darkness that each of us must face in this world. Each track is meant to inspire the listener to overcome these obstacles through human perseverance strengthened by guidance from above. The distinct vision that gives Images of Eden its identity is about drawing strength and determination from faith to see us through our toughest times, but what makes IoE stand out as one of a kind is that its message is simultaneously accessible to everyone while still speaking to the listener on a very personal level. 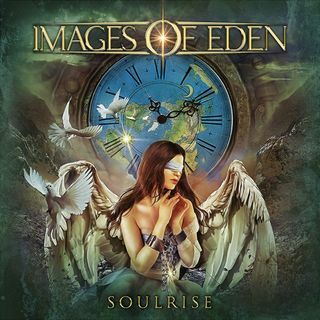 In early 2018, Images of Eden released a high-end production music video for their single, “Shield Me,” and also has signed a deal with Pavement Entertainment to release their fourth CD, Soulrise. The album was mixed and mastered by legendary producer, Bill Metoyer, and will be released on August 17, 2018. In addition to this, the follow up release to Soulrise has already been written and the band has officially started tracking. The goal for 2018 is to hit the road for a tour in support of Soulrise and have the fifth CD (tentatively titled Angel Born) completely recorded by the end of the year.